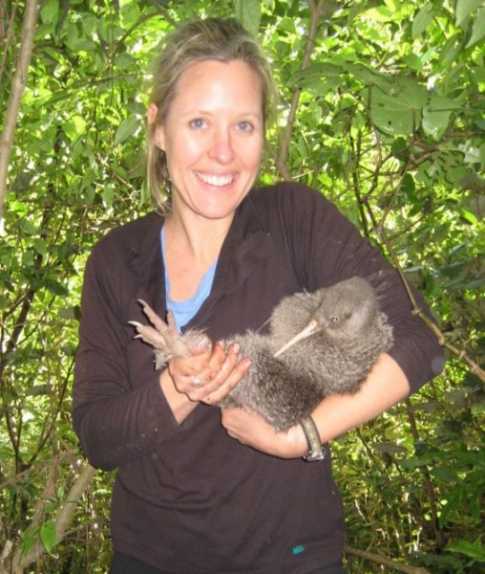 When we think of the 5 species of kiwi, the smaller species such as the little spotted kiwi could easily escape our attention. They seem to be the most endangered and that means they also have small populations with genetic bottlenecks. Only 5 birds formed the nucleus of a translocated colony moved to Kapiti Island around 1890 by remarkably early conservationists. With 1200 individuals now resident, the move was a success. Now South Island could be recolonised in areas carefully vacuumed clear of cats and stoats, rats and dogs. At this size, the ground-living birds are the most susceptible to predators such as these. The down-side for the species is the naturally very low genetic variation in all the 4 populations present nowadays. How to manage a population that needs conserving, yet seems likely to implode with genetic problems? Only 27 alleles were found in15 loci on the chromosomes of the flightless birds. Even worse, there was a maximum of 5 alleles present on Kapiti for any one genetic locus (the average is less than 2). Recent and acute bottleneck seems obvious, with recently-moved populations such as Long Island showing even more restricted variation and the most extreme heterozygosity. There was some hope in the genetic divergence each population showed from each other. This would be a fortuitous kind of, "island effect." There are also 2 birds that were transferred to D'Urville Island. They differed genetically from others, with 12 different alleles present. No other kiwis have a lower genetic diversity. The only explanation seems to be historical losses on the mainland, while there could be further erosion of the species' gene pool, going by the figures obtained. The reproductive success of many pairs is in doubt after few birds were seen contributing to the "recruitment" of young birds. That doesn't explain the large numbers that could be produced in a selective process whereby the less fertile animals are being weeded out. Under any future environmental stress for this species, however, the likelihood is that there is insufficient genetic variation to provide enough natural "fitness." The paper was published today in the Proceedings of the Royal Society B: Biological Sciences.